Technology has come a long way from the old school pedometers that simply tracked steps. Now the aptly named fitness tracker can track a whole lot more than just steps. And fitness trackers aren’t just limited to adults. 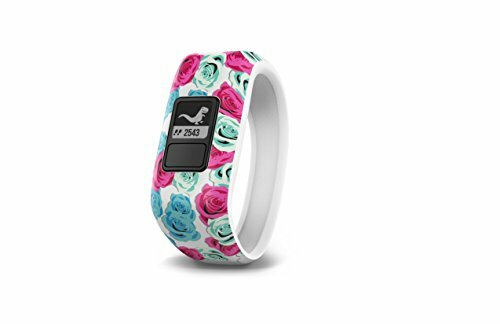 There are kid-specific fitness trackers too to get your kids motivated to get outdoors and get active. Fitness trackers for kids are very similar to the ones for adults but do come with some features that make it easy to use and will keep kids motivated to get fit. If you aren’t sure what to look for when it comes to choosing a fitness tracker for your child, keep reading. We’ve chosen the best activity tracker for kids on the market today as well as a few things to keep in mind when picking the right one for them. But before we get to the list, here are some things to consider when choosing the right fitness tracker for your child. So what does your child need in a fitness tracker? Something durable, sure, but what about all those other fancy features you see like heart rate monitors or activity-specific functions? A good rule of thumb is to keep it simple and straightforward and more importantly something they will actually want to wear. Here are some things to consider while on the hunt for a fitness tracker for your child. Most fitness trackers, kids or adults, are at the very least splash proof with many of them being water resistant and for the ones who plan on doing some swimming, waterproof. Even if your child doesn’t plan on diving into the deep end, choosing a fitness tracker that is water-resistant will give you peace of mind. Most bands on fitness trackers are made of silicone. That’s because it allows some give for growing wrists, is a durable material and won’t get damaged when exposed to sweat, sun or water. And when it comes to the band style itself, you have two options: the traditional watch style with a clasp or a band that stretches to fit your child’s wrist. While a solid band might be more comfortable for kids, as there will be no clasp rubbing against their skin, a watch-style fitness tracker allows them to adjust the band to accommodate their growing wrists. While it may be tempting to choose a fitness tracker with a ton of features, a big touch screen might not be good for small wrists. Also, make sure you measure their wrist size and check the sizing chart. Too large a band means it will get in the way. 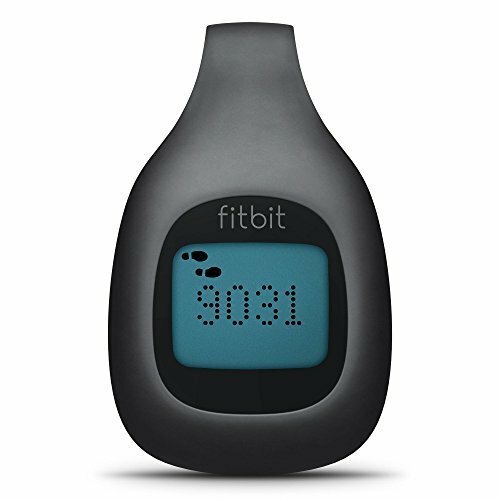 If your child doesn’t like wearing something on their wrist, consider getting a clip-on fitness tracker like the Fitbit Zip. This can be clipped on to practically anything and will give them the same tracking as a fitness tracker worn on the wrist. When it comes to batteries, the more features the quicker the battery goes. If you don’t want to be charging your child’s fitness tracker daily, stick with something that has fewer features to it. Some of the fitness trackers on this list can last up to a year without having to replace the battery. There are a lot of great fitness trackers on the market today that cost less than $100 dollars, sometimes much less. Luckily, the ones that made our list all fall in that category. You don’t have to spend a ton of money to get a good fitness tracker for your child. Buying your child a fitness tracker is great, but might not be quite enough to get them moving. Here are some ways to get them active! Set up a step challenge. On your mark. Get set. Walk! Start a challenge as a family. Have a little fun seeing which family member gets the most steps for the day or week. Or set a step goal so that if they meet X amount of steps then there will be a special reward of your choosing. Some of the watches on this list even allow you to set up the challenges for kids to see how they are doing and if they earned enough for a reward. Try something new. Perhaps your child isn’t into organized sports or the idea of walking is boring. Why not have them try something totally new? Take them rock wall climbing, roller skating or blading, or sign up for a dance or karate class. Invite a friend. Activities are more fun when you have a buddy to do it. Have them invite a friend to go for a hike, a bike ride or for a swim at the local pool. See if you can sign up them up for the same sport or class together. Join in. Don’t sit on the sidelines! Get up and move with them! Participating with your child will not only help motivate them to move but will also help you get some exercise in as well. Kids look to their parents to lead by example. Make exercise a part of the routine, not a chore. 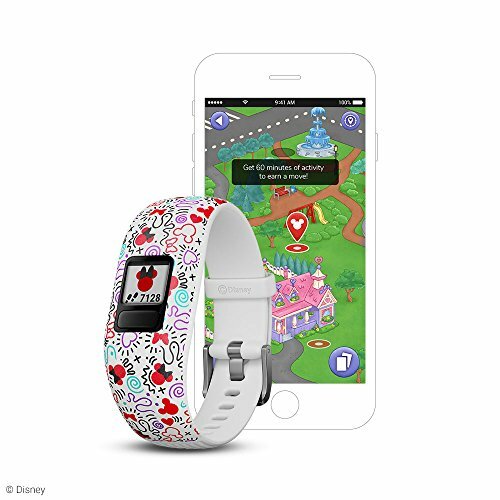 Ready to get your kids motivated to move with an awesome fitness tracker? Here are 7 fun fitness trackers for kids that will encourage them to get their steps in and have fun doing it. Let’s dive into the list, shall we? 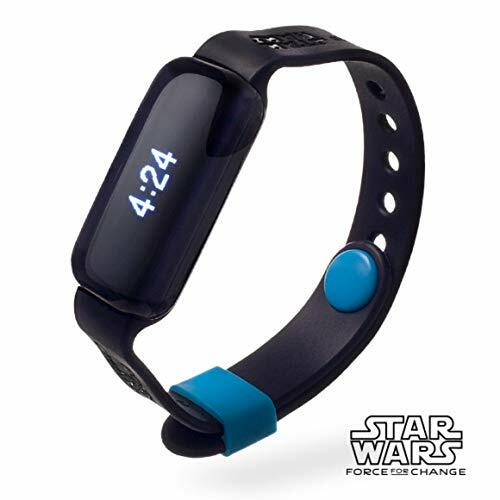 The latest version of the Vivofit Jr. 2 has had some great improvements and appeals to a variety of kids as it comes in design themes kids will love such as Star Wars, Disney Princess, Marvel, Spiderman, and Minnie Mouse. This activity tracker will not only tracks steps, active minutes and sleep, but it can even be taken swimming because it is waterproof. The Vivofit Jr. 2 has a long battery life and will last a whole year without having to change it. Its color screen is customizable but can be a little hard to see at times, like in darker spaces. This fitness tracker syncs with Garmin’s free mobile app and lets parents set fitness and step goals, remind kids to move or do chores. By completing chores or activity goals, kids can earn coins which they can exchange for a prize of your choice. 1-year battery life; no recharging needed. The free app allows parents to set up reminders and alerts. Kids can customize the display. Band comes in fun themes like Marvel or Disney characters. The display can be hard to read in certain darker lit spaces. Kids can be just like mom and dad with this simple straightforward fitness tracker from Fitbit. The thin design is similar to a Fitbit Alta and allows kids to view their steps, active minutes and even track their sleep. It pairs with a smartphone to allow kids and parents to view their stats as well as set up challenges with other friends and family who are also Fitbit wearers. No need to take off this tracker when jumping in the shower or washing hands thanks to its splash-proof design. It also has a pretty good battery life lasting 5 days on one charge. 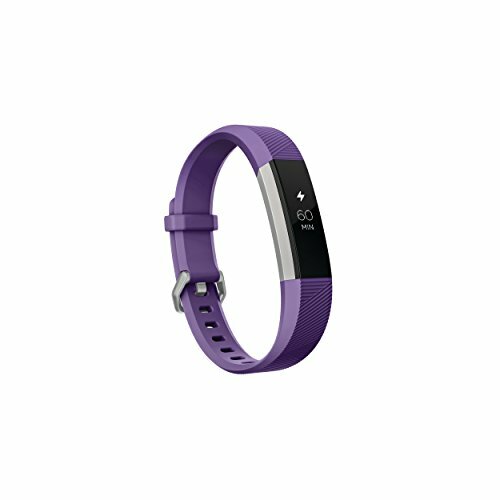 Fitbit Ace is available in two colors, purple and blue and is best for kids 8 years and older. The band is adjustable and fits most wrists sizes. The bright display is easy to read. Slim design is stylish and comfortable to wear. Splash-proof design allows kids to wear it in the shower. Setting up the watch via the Fitbit app was a little confusing. This thing is so much more than just an activity tracker (though it does that too). This smartwatch will track kids steps and activity as well as take pictures, play games, and more. The watch has a built-in motion sensor to track steps and sense motion as kids choose from a variety of activity challenges. 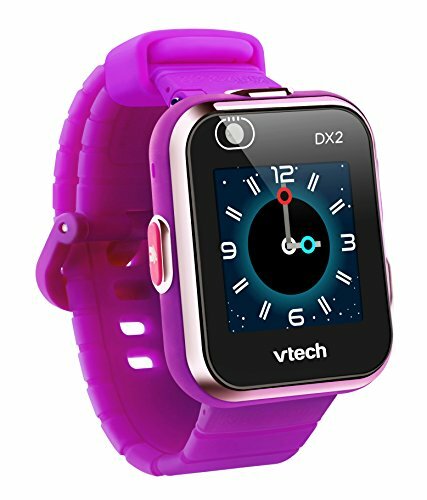 The Vtech Kidizoom Smartwatch also allows kids to take pictures and videos with its dual cameras. Kids can choose from 55 custom watch faces and hook the watch up to the computer for additional content. This tracker is good for kids age 4 to 12. With all these features there is a downside. You may need to recharge the watch after a few hours of playing games. Looks like mom and dad’s smartwatch. Motivates kids to move through activity challenges. Has a built-in camera for photos and video. Reasonably priced for all that comes with it. Will need to recharge frequently for kids who play a lot of games on it. 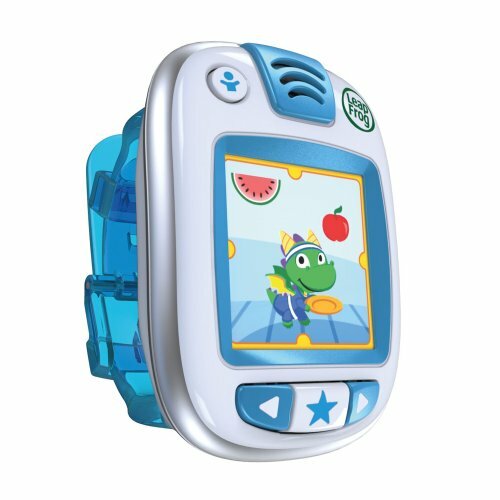 Even the little ones can get in on the action with their very own fitness tracker from LeapFrog. For ages 4 to 7, the LeapFrog LeapBand makes physical activity fun with over 50 challenges kids can choose from in order to earn points for rewards. Kids can pick and customize a virtual pet and then unlock other pets and toys for their pets by completing activities. The battery life of the watch, depending on usage, is about a day, but there’s no doubt that this watch will encourage your little one dancing and wiggling and moving. Virtual pets can be customized and thrive on activity. Over 50 different challenges for kids. A little large for little wrists. Let’s not overlook the original Vivofit Jr. which is still available for an affordable price. What kids will get with the Vivofit Jr. is the same 1-year battery life and same waterproof capabilities. So go ahead. Let them dive in! The difference between the Garmin Vivofit Jr and the Vivofit Jr 2 comes down to this: the band and the display. The band choices, though still stylish, won’t feature their favorite characters. Kids can choose from designs like Broken Lava or Flowers. The other difference with the band is that it is a stretch band versus the new watch buckle. And lastly, the first version Vivofit Jr. does not have a color display. It does, however, connect to the free app available for smartphones and does track steps, sleep and activity just like the latest version. Lower price than the latest version. Tracks sleep, steps and activity. The stretch band doesn’t allow for a customized fit. Kids will get fit for a good cause with the Kid Power Band. By being active, kids will earn points which then they turn in so that food packets are given to malnourished children. So the more kids move, the more steps they get in, the more lives they save. The watch connects with a free app so kids can see how many points they’ve earned as well as watch videos and learn about other cultures which are unlocked the more active they are. The tracker itself is fairly simple. One size fits most kids with its adjustable band. One charge will last about 5 days and the watch is water-resistant. Kids can choose from different colors like blue and green or the Black Star Wars version. Steps go towards earning points to support a good cause. Adjustable band fits most wrists. Some had trouble with the app working consistently. What if your kid doesn’t like wearing anything on their wrists? Have no fear. The Fitbit Zip is here. Yes, that Fitbit Zip, the one for adults is durable enough for kids to use too. This small water-resistant tracker comes in plenty of colors and can be clipped just about anywhere. The Fitbit Zip tracks steps, distance and how many minutes your child has been active for. It’s also super easy to use. To scroll through to see the different stats, simply tap the screen. And the battery life is great— 6 months before the battery needs to be replaced. It syncs wirelessly to the free Fitbit app too. Comes in a variety of fun colors. Small and can be clipped anywhere. Very simple. No fun extras like some of the other trackers. Q: How many steps should my child get a day? A: You’ve probably heard the magic number— 10,000. This number applies to adults but what about kids? Some research says kids should be getting about the same 10,000 steps, if not a little higher. More importantly, kids should aim for 1 hour of moderate to vigorous physical activity a day. This can be by playing on the playground or participating in an organized sport such as basketball or soccer. Most kids will get this in short spurts rather than 1 hour altogether. Q: How accurate is the step counter in fitness trackers? A: No pedometer or fitness tracker can provide the exact amount of steps. However, they do provide a pretty good estimate of the number of steps taken. There’s some reason why the number isn’t exact. Mainly because fitness trackers are predominately worn on the wrist and even if you don’t take a step and your arm moves and that may register as a step. Either way, fitness trackers are a good way to get an estimate of how much you’ve moved in a day. There you have. Our top picks for the best activity tracker for kids that are sure to get them moving and grooving. Our favorite choice for kids is the Garmin Vivofit Jr 2. The long battery life, easy to use format and fun designs makes it a perfect fitness tracker for kids of all ages. And to top it off, it’s waterproof too, so they can wear it in the shower or the pool.